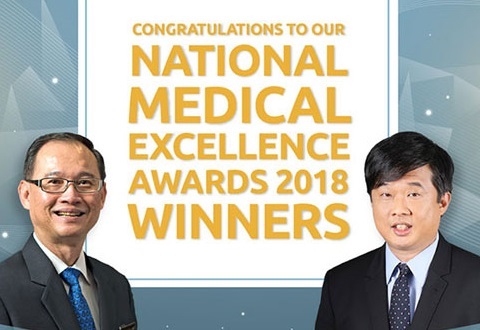 ​The NCCS Oncology Clinic @ CGH is a collaboration between the National Cancer Centre Singapore (NCCS) and Changi General Hospital (CGH) to bring cancer treatment closer to patients living in eastern Singapore. The clinic provides oncologic consultation and outpatient chemotherapy for CGH patients with breast, lung genitourinary, and gastrointestinal cancers. CGH cancer patients will now enjoy greater convenience as they no long need to travel to NCCS’s flagship facility in Outram to continue their treatment. Patients can be ensured a consistent level of medical and quality care similar to patients seeking treatment at NCCS as the clinic is helmed by a team of medical oncologists and staff of NCCS. The clinic is located on Level 1 of Changi General Hospital and is opened from Monday – Friday (8.30am – 5pm). Referral from a CGH doctor is required. Consultation and treatment fees are similar to what is charged in NCCS at Outram.